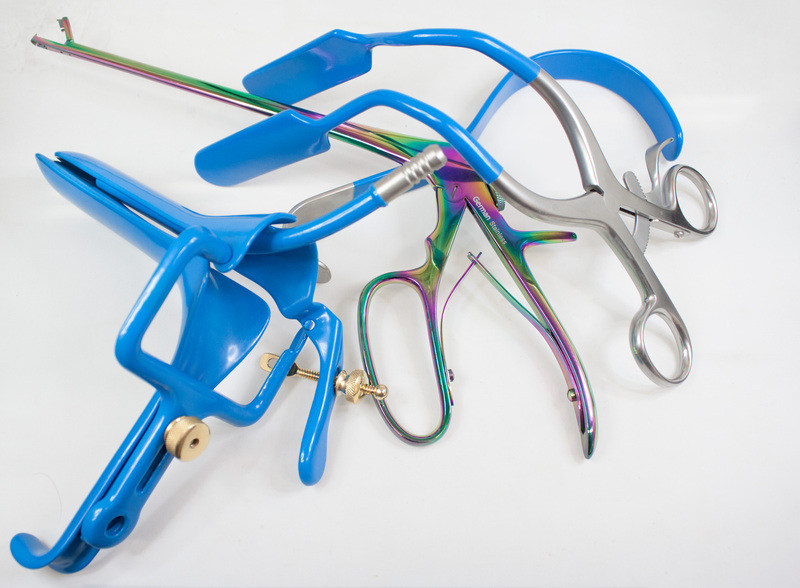 Stingray Surgical’s line of over 1000 types of reusable bipolar forceps gives our customers the choice they deserve. Our reusable bipolar forceps are made from materials such as stainless steel, silver alloy, titanium and high grade plastics. As a manufacture of bipolar forceps, we can provide the customization and features that no one else can provide. Cables: We offer bipolar cables in a variety of materials and features. 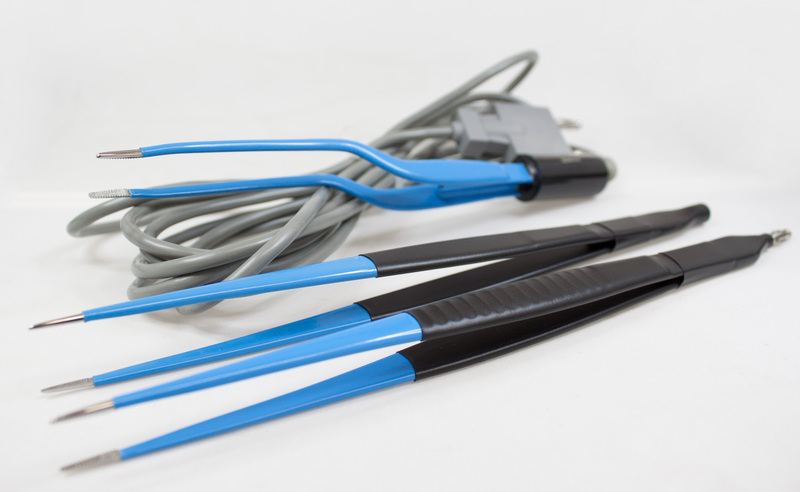 Our reusable cables contain silicone and thermoplastic rubbers. Disposable cables are made of polyvinyl chloride. The connectors are U.S. 2 pin fitting and fits 4mm banana-plug style generators. Trays: Made out a light weight perforated anodized aluminum. 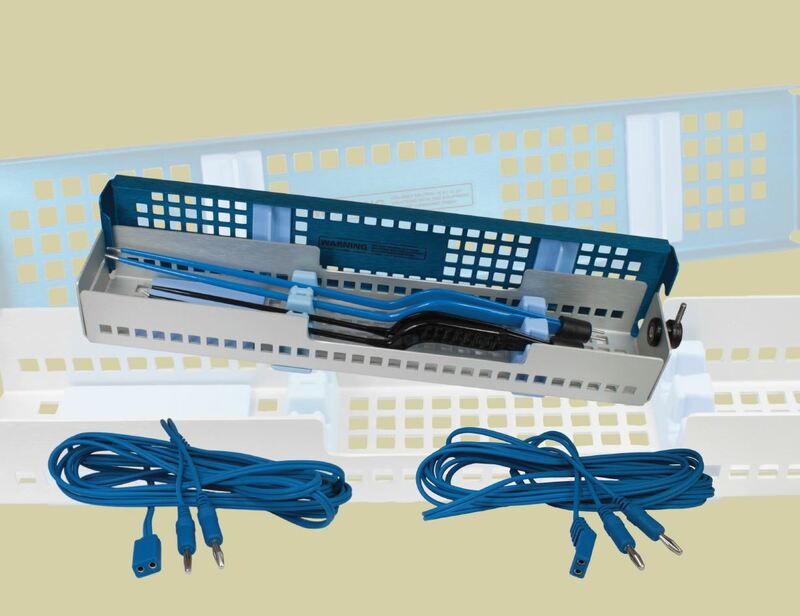 Trays features silicone instrument cushions and holders, with an easy lock latch. Three different sizes are available. 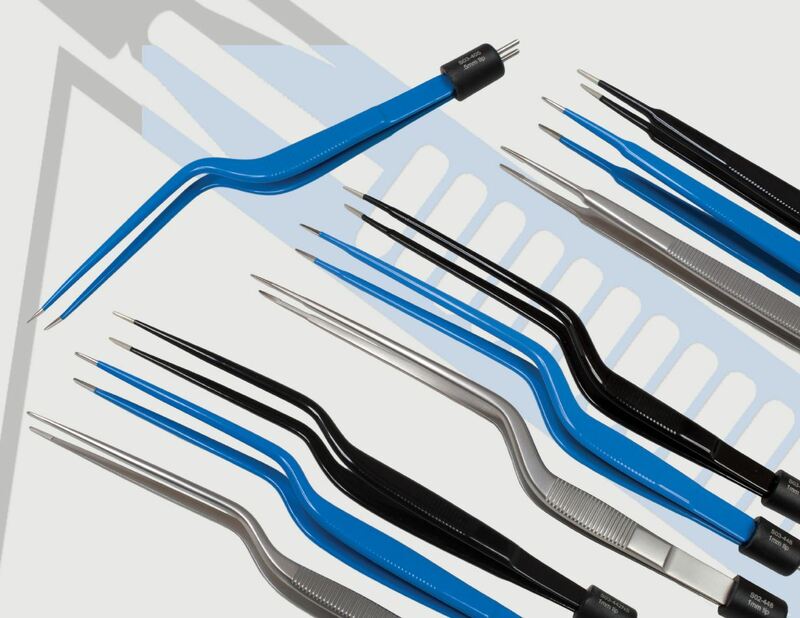 Stingray Surgical’s line of electrosurgical forceps are available in a variety of sizes, styles and tip configurations. Stingray Surgical offer a vast selection of gynecological instruments in insulated and non-insulated options. Stingray’s insulation coating meets and exceeds industry standards. 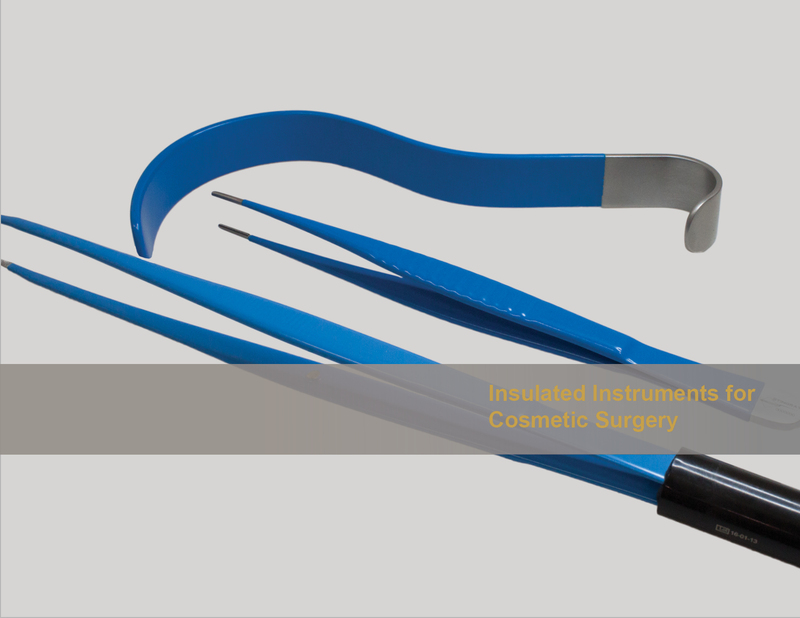 Stingray Surgical insulated retractors and forceps are manufactured in the United States by using quality German stainless steel and FDA approved Nylon material. Stingray’s handswitch monopolar forceps are made with the highest quality silicone cable and insulated with Nylon coating. Design patterns available in straight and bayonet with a variety of tip sizes.